Hasapiko (also called Mary Kay) is a great throwback bar with old timers and tourists sitting around while the music thumps. A small crowd usually moves about on the tiny dance floor. Oia or Ia is a small town and former community in the South Aegean on the islands of Thira and Therasia, in the Cyclades, Greece. Paros is a Greek island in the Aegean Sea best known for its beaches and traditional villages. Amoudi Bay is located 300 steps below Oia. Cape Columbo Santorini: The most isolated spot in Santorini, 10 km from Fira, the island's capital. Parasporos is located south of Parikia, the capital of Paros. It is a large beach with emerald waters and golden sand. Located in the Franca Scala area of Parikia, Pirate is a cozy bar decorated with stone and wood. It attracts people every night, that come here to enjoy chilled evenings, listenint to nice jazz and blues tunes. Panagia Ekatontapyliani (also known as the Church of 100 Doors) is a historic Byzantine church complex in Parikia town, on the island of Paros in Greece. Pyrgos Kallistis or simply Pyrgos is a picturesque village on the Aegean island of Santorini, Greece, in the Cyclades archipelago. Santorini, one of the Cyclades islands in the Aegean Sea, was devastated by a volcanic eruption in the 16th century B.C.E., forever shaping its rugged landscape and villages. See the Brentwood neighborhood boundaries by selecting the address link. Local farmers market tucked next to the posh Brentwood Country Club. Welcome to Fox Studios, a fully-integrated 50+ acre facility with the diversity to accommodate full-length features, special events, sitcoms, commercials, music videos, still shoots and a variety of other projects. See something of interest? Call us...or Come On In! The Annenberg Space for Photography is a cultural destination dedicated to exhibiting both digital and print photography. The space features state-of-the-art, high-definition digital technology as well as traditional prints by some of the world's most renowned photographers and a selection of emerging photographic talents as well. Actually the intersection of S. Los Angeles Street and E. 9th Street in Los Angeles where the six fashion wholesale buildings of the LA Fashion District are found. 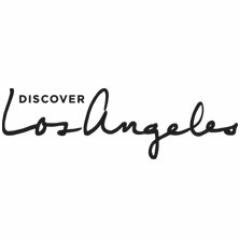 The LA Fashion District’s designer showrooms host five market weeks yearly, where buyers and retailers come to shop the latest in contemporary apparel and accessories. There are over 1,200 showrooms in these buildings representing over 4,500 fashion lines.